You move into a brand new suburb and notice your neighbor is hiding something in his basement. The only logical thing to do is to break into his house and figure out what he’s hiding. 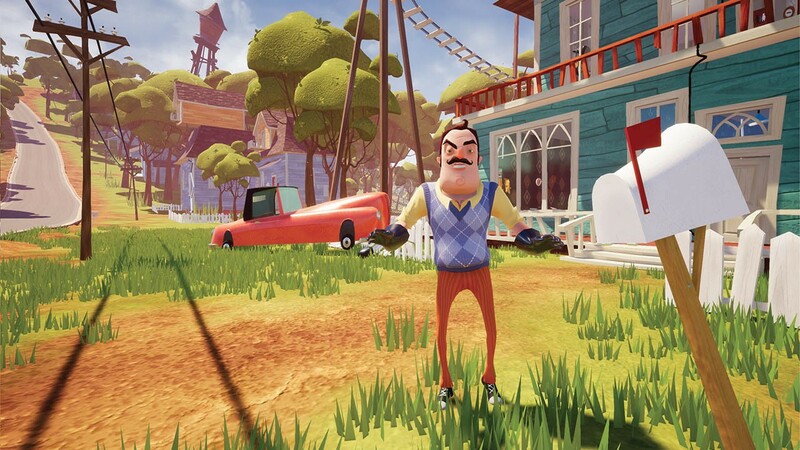 Hello Neighbor is a stealth horror game about sneaking into your neighbor’s house to figure out what horrible secrets he’s hiding in the basement. You play against an advanced AI that learns from your every move. Really enjoying climbing through that backyard window? Expect a bear trap there. Sneaking through the front door? There’ll be cameras there soon. Trying to escape? The Neighbor will find a shortcut and catch you. You move into a brand new suburb and notice your slightly odd neighbor is hiding something in his basement. The only logical thing to do is to sneak into his house and figure out what he’s hiding. Your Neighbor is very protective of his property, and his secrets. In order to find out what he’s hiding, you must lure him out of the house so you can sneak inside. He also learns from the tricks you play on him. Do you normally sneak in through the back window? Next time there might be a bear trap waiting for you! Always entering through a specific door? Soon there will be cameras to watch for you! 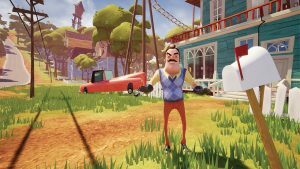 With the suspicious Neighbor always on guard, you’re constantly looking for a way to carefully sneak by, or a place to hide. If he sees you though, your only choice is to run for the nearest exit! Don’t worry, though, getting caught sends you back to the safety of your home, to try again.